Imagine your past self has come to visit you. What would you do? Run away? The young Sejong is coming to visit the current Sejong! After finding out about Ddol-Bok that he saved before has come to kill him, Sejong can’t help but to accuse the young Sejong as the person responsible for his life, which is on the line because of his younger self’s fault. it’s going to be pretty intense, with the collar grabbing and probably some conflicts going on between these two. 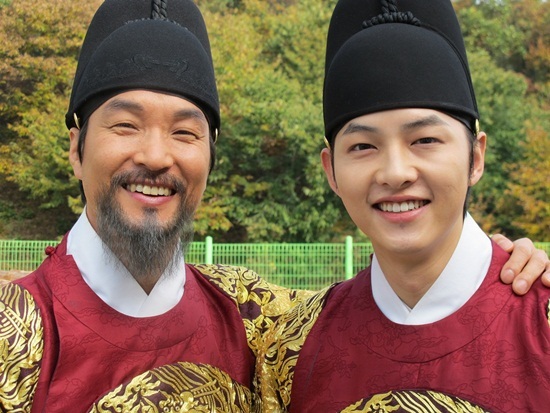 But I totally wouldn’t mind some scenes where the young Sejong drops by to say something to his older self, or simply being in the current Sejong’s memory, so that I can have more Joong-Ki. Nope, I’m not complaining at all although there’s more of Han Su-Kyu’s scenes nowadays, because I totally love his older Sejong’s portrayal. He’s perfect for the role! Look, these two look like father and son, right? 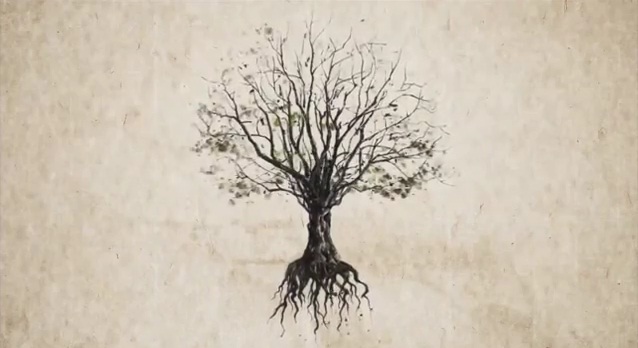 This scene will be aired on 27th October, in the 8th episode of Tree with Deep Roots. *To answer the question that I asked earlier, if I have to encounter such situation, I’d run away. It’s not really a horrifying situation, but it does give some chills to see another version of yourself standing there, unless you get a bad case of delusion going on. I don’t think I’d run away. I’d rather debate with her about what I’ve done right or wrong, and remember about my initial motives. I think it’s important to stay in touch with our younger selves, as they’re our….roots!